These past few months, myself and the team at Spa Wellness have had the opportunity to work on a few smaller, but no less important projects. So I thought I would share an update on whats been happening here at SWC HQ in Melbourne. Amara is a unique wellness concept that weaves together a range of services. 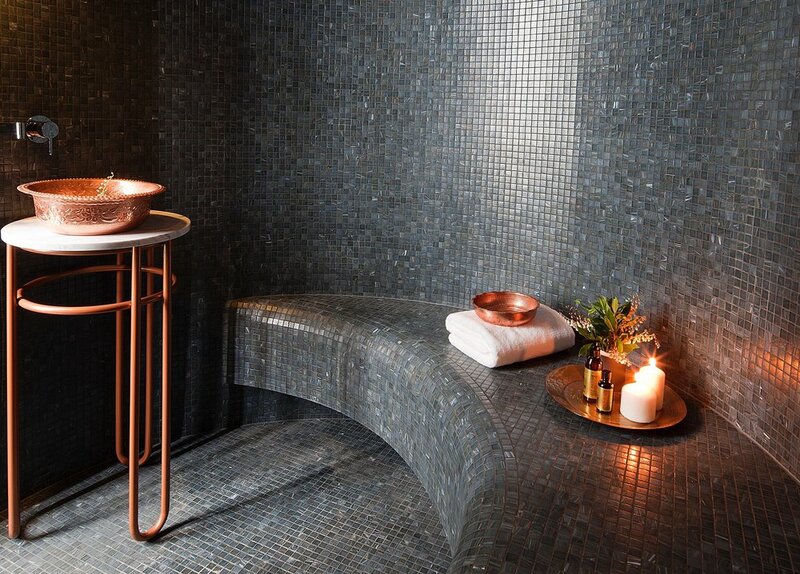 Located in Brunswick, Melbourne and owned by Dr Zara Celik, this centre offers turkish hammam rituals, wellness coaching, chiropractic, endermologie, endermotherapie and a huber motion lab. Traditional spa culture meets modern day technology for a fusion of relaxation, rejuvenation and rehabilitation. Upon discussing the objectives we began working on copy for a new treatment menu and website. My graphic designer Stef worked her magic by refreshing the brand and designing the spa brochure and other signage. Marc, my web developer worked on a new website based on how I felt the site needed to be navigated and what it needed to offer. I enjoyed a lovely hammam ritual so that I could offer feedback on the guest journey and where it needed to improve. And we supplied SOPs and standard contracts. With these few important changes Amara Wellness Centre now has a greater opportunity to achieve and flourish in the competitive wellness industry. Hope Island Resort is quite a grand property sitting in the centre of a golf course on the sunny Gold Coast. However it is now under re-development and therefore I was asked to provide a design brief for a new day spa. Two architects had already prepared plans and while they were good, amendments were definitely required. The prep room, office and retail area was not sufficient, there were a few too many treatment rooms, with too few facilities and the circulation of traffic through the space was not going to flow. This is where having a consultant that knows the inner workings of a space is an imperative, both from an ROI and efficiency perspective, along with the fact that calm staff and good flow equals a seamless guest journey. With that knowing, we revised the floor plan, presented a new concept which meant reducing treatment rooms in favour of a thermal bathing experience, plus added the necessary back of house areas that would support staff efficiency, which thereby reduces labor costs and stress. The end result is a day spa, that already just on paper, is going to be more profitable, more attractive, more competitive and a deliver on a much nicer guest experience. Did you know that RACV has a portfolio of hotels and resorts? No less their own brand of day spa, called One Spa? Neither did I until I received a call in March of 2016 with a request to put forth a tender to review all six One Spa sites. Two months later, and following a thorough review of each One Spa, which involved a mystery shopping audit and then a return visit to carefully observe and ask questions of the business, I put forth a detailed report outlining the existing challenges and solutions. From this report, RACV implemented many changes and went onto choose a new spa partner. This then meant changing the spa menu for each One Spa and this was approached strategically based on previous best performing treatments. We wrote the copy and drafted the initial spa menu design, which was then completed by the in-house graphic design team. A simple luxe paper stock was chosen as per recommendation and finally after many detailed hours of proofing and editing, the spa menu was launched in conjunction with Comfort Zone as the new spa partner. Posted on September 1, 2017 by Sonja Sorich and tagged racv one spa swissotel hope island amara wellness centre spa menu design spa concept spa design spa website design spa brand identity project management.